The Middle East Hospital is located in Riyadh, Saudi Arabia, at the crossing of Prince Saud Ibn Abdullah Ibn Jalawi and Prince Turki Ibn Abdulaziz Al Awwal Road. The King Salman Road is the new road from the hospital location to the King Khalid International Airport which is the result of the expanding city towards the north. 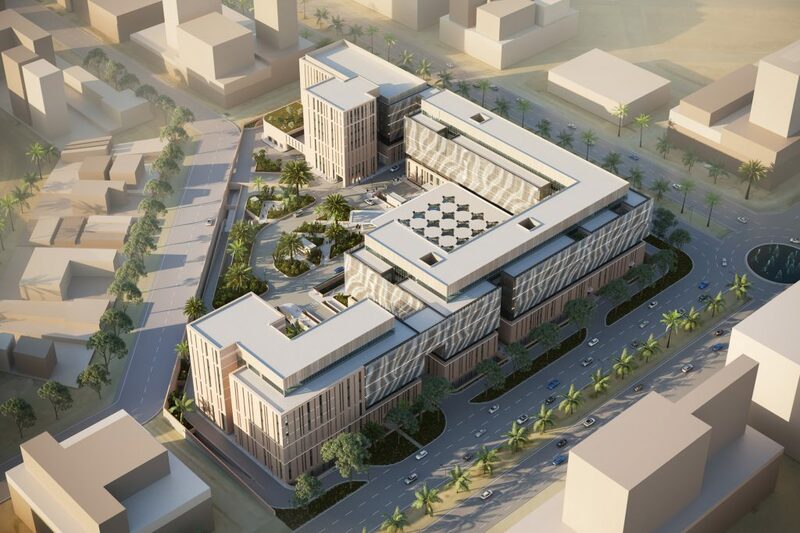 The Middle East Hospital is based on a campus structure with a general hospital, staff accommodation, cardiac rehabilitation, and a training centre. 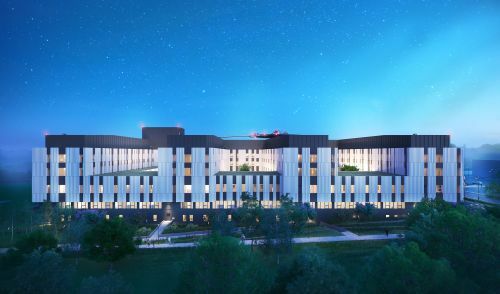 The hospital provides almost 200 inpatient bedrooms, varying from general patient rooms to VIP rooms with green oases and patios, VIP rooms with family rooms and VIP suites. 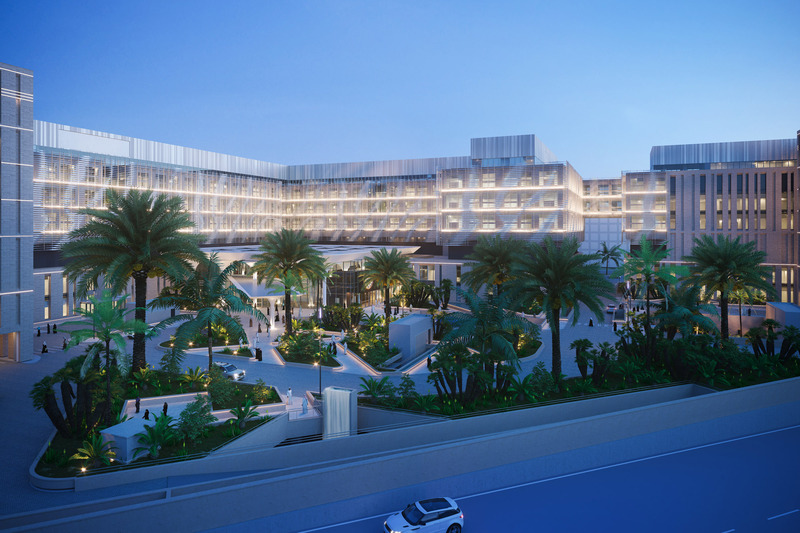 The entrance building with pavilions inside leads to the main outpatient departments of the hospital such as the women’s clinic, emergency department, consultrooms, public pharmacy, nucleair medicine and imaging department. The first floor houses all medical intensive departments such as OT departments, cathlabs, ICU-CCU and delivery department. Three upper floors are used for all inpatient departments. 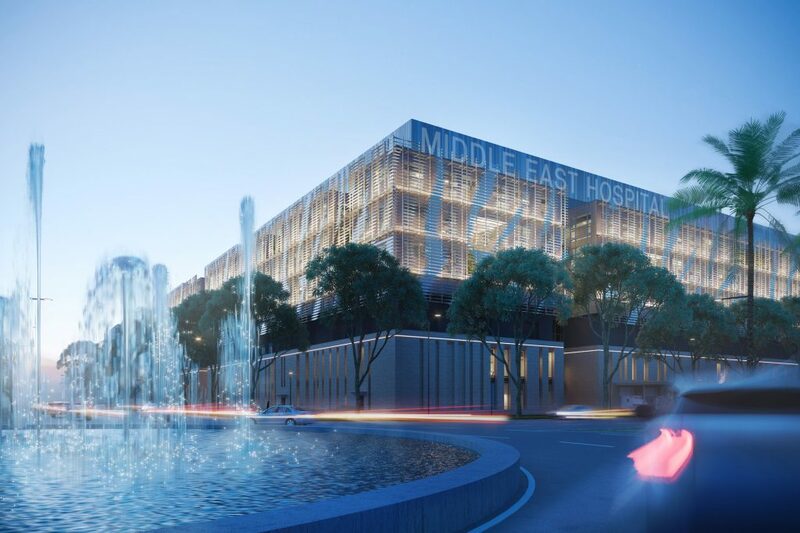 The Middle East Hospital has been awarded a prestigious iF Design Award in 2019. 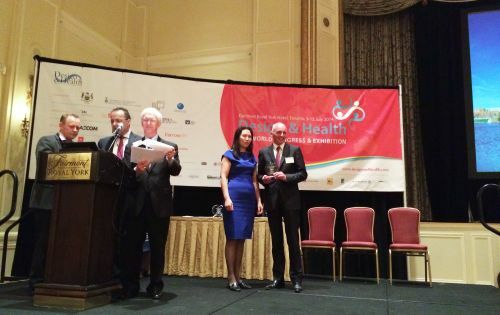 The jury particularly praised the people-centered design approach.